As one of the first companies to manufacture ciems for musicians and audiophiles, Ultimate Ears remains a powerhouse in the industry. The audiophile business is booming, with companies coming and going; but Ultimate Ears will always have one major advantage over them – 20 years of experience in tuning, and knowing what their clientele needs best. The UE18+ Pro comes with a black twisted 4-wire copper cable, with a characteristic OFC tone. As such, there isn’t a great difference with the standard Plastics One commonly provided with ciems. The cable contributes to the UE18+ Pro’s warmer tone and softer treble, while adding a breeze of warmth to its stage. As a result, its stage isn’t the most airy, while its transparency could be greater. However the tone is an excellent match and even essential for the timbre and general naturalness of the UE18+ Pro’s presentation. It’s a pairing that works very well together. The UE18+ Pro is designed as the ultimate stage monitor. To be a valued attribute for a performing artist, there are two basic things that a monitor, at the very least, should adhere to. For starters, it needs to be silky smooth – you can’t be listening to a fatiguing monitor for hours on end. Secondly, the sound needs to be accurate. You need to be hearing a realistic reproduction of the music you’re playing; in other words, its instrument timbre needs to be top notch. This isn’t only the type of sound we as an audiophile need to hear when listening to our favorite band; but what that band needs to listen to when hearing themselves. The UE18+ Pro not only complies, it excels. When you first hear the UE18+ Pro, there doesn’t seem to be a great deal of excitement going on. The soundstage is pretty average in size, and it’s not particularly upfront in its detail retrieval, even though its resolution is quite high. But take an extra minute to listen to the tone of a guitar, or the realistic portrayal of a vocal, and what’s first perceived as ordinary, seems to be extraordinary. The UE18+ Pro’s warmer tone is not only incredibly smooth, it sounds very natural. It creates this sense of naturalness by combining a fairly linear midrange with a softened treble. The result is not only a warmer, more inviting treble that positively affects the tonality, but the coherency of the presentation as a whole. This is a tuning in service of the midrange; the bass and treble seem to display a rare sense of selflessness in helping the midrange perform at its best, perhaps recognizing its crucial role as the foundation of the music. The UE18+ Pro’s stage is roughly average in its dimensions, having a slightly wider than average width, while not being overly deep. Similarly, its precision of imaging is around average, as is its layering ability, due to the depth of the stage. However, its instruments are projected on a nicely stable black background, resulting in a fair amount of detail despite the warmer tone. But there’s something strange going on with the UE18+ Pro’s stage. There’s a rare sense of coherency in its presentation, that invites you to forget about analytically dissecting its performance. The UE18+ pro doesn’t present notes as a set of individual instruments, artificially forged together. Rather, it presents them as a unified ensemble; a band of musicians trained to play in unison, as a result of years of practice. The presentation as a whole feels comfortably intertwined. Hi. I am a Korean audiophile. And i using the ‘ue18 + pro’. Your review is very impressive. I read your review and thought the review was perfect. Thank you very much for providing a good review. I have a question. What is the best audio player for ‘ue18 + pro’? And what should be considered in matching? Once again, thank you. Have a nice day. Thanks for the kind words buddy! Personally, I found the best source for the UE18+ the Lotoo Paw Gold perhaps. Due to the 18+’s warmer character, it can feel a bit too warm with warmer sources, which might affect its precision of imaging or transparency. For instance, even though the AK380cu is technically better than the Lotoo Paw Gold, the image was more precise with the Lotoo. However, it strongly depends on preference of course, if you generally prefer a warm and smooth sound, a warmer source might be better (although I did not like the pairing with WM1Z for instance). Thank you for your kind answer. Thanks to that, I understood easily. Actually, I like warm and smooth sound. In my memory, WM1Z was my taste. Do you think WM1Z is technically sufficient? I mean … is it the one of the best device? 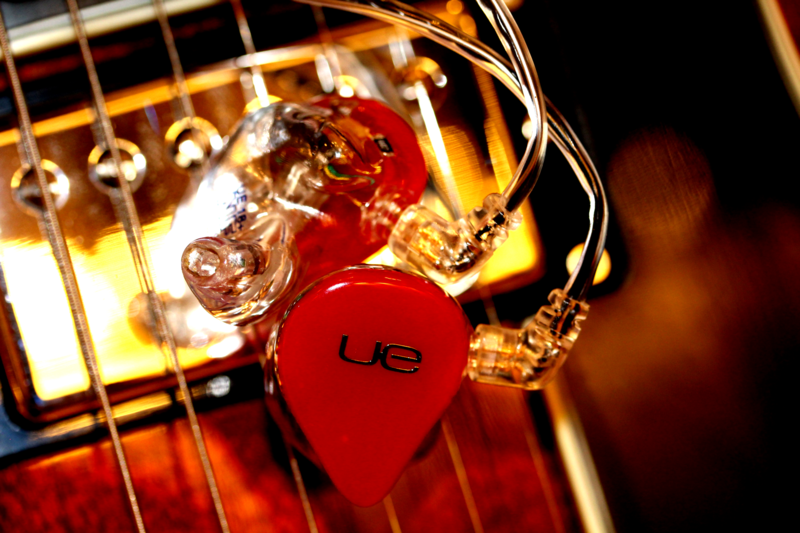 Also, one more question, are there CIEM that are upgraded in every way, sharing warmth like ‘ue18 + pro’? I was satisfied with ‘ue18 + pro’ but just curious. Thank you so much. Yes I can definitely understand how the WM1Z would fit your taste, and there is no question that it is an excellent device. Despite its warm tone, it provides a clean sound with excellent separation and a nice 3D stage. Its exceptional strength for me, is that it makes even brighter iems sound accurate in timbre. However, my personal issue with it is that I found the transparency could be greater when compared to the AK380cu for instance, which used to be my main player. But I had my WM1Z modded a while back by improving the internal wiring, which gave it a more balanced signature for me and better technical performance. Now it is my main player, I like it very much. But to get back to the UE18+, even though the 1Z and UE18+ are both excellent, the pairing didn’t work for me. This is personal of course, but for me the pairing is less good with already warm iems like the 5-Way, UE18+ or Prelude. As for something ‘better’; it will come down to preference of course, and note that I am heavily biased in this case, but take a look at the Empire Ears Phantom (and maybe when you can try it at your dealer in Korea?). It offers a natural sound, but has a more airy 3D stage and improved transparency. thanks for the epic review. Could you please tell me how the UE18 compare to the NT6 Pro? and a point to clarify, u said UE18 has a dip in lower treble, but you gave it a higher score than the NT6 Pro, which is known for its quality treble? is this just a reflection of your preference or? I mean a dip from what i understand is same as recessed, which is a bad thing or? Hi buddy, thanks for the kind words. This is the complicated thing about audiophile terminology, attenuated refers to its response in a frequency graph. But this is something different than recessed; recessed just means it is lacking. The treble of UE18+ is not lacking in this sense, by dampening its lower treble frequencies, they simply created a warmer more natural timbre of its treble, as well as a generally more natural signature. You’re asking a very good question about the NT6pro’s vs. the UE18+’ treble. But as it happened, I wrote a very detailed post about the interpreting the scores last week on Head-Fi, and I used the NT6-pro as an example. Maybe I will repost that to THL sometime. In the meanwhile, take a look at it and let me know if you have any questions after. TLDR: both are good treble, but the UE18+’ treble has a more accurate timbre. thank you so much for the reply, i read through your post in the link, very insightful, a great read! Especially the part about how hifi companies tune towards older and richer consumer segment, blew my mind a little, never thought about that. I listen mostly to k-pop and female vocal/ballads, and enjoy some violin/piano too. How do you think NT6Pro UE18+ and SE5 ultimate would perform for such genres? would the lower treble dip in ue18 and the softer nature of SE5U’s treble mean less satisfying female vocal and violin? btw do does the silicone make u sweat more than acrylic? thats my main concern with SE5. Hi buddy, my guess is the NT6-pro would be the best match for you. The determining factor here is how you like your treble. If you are you a sensitive listener, the UE18+ or 5-Way would be better. But if you like your k-pop, as well as violins and pianos, to sparkle and shine, the NT6-pro is the easy choice. In all cases, the vocal presentation would be satisfying. Even though their vocals are slightly different, the NT6-pro, Ult and UE18+ all have really outstanding vocals. The UE18+ and Ult sound warmer though, while the NT6-pro sounds a bit clearer and sweeter perhaps. UE18+ in my opinion has the most realistic and detailed vocals, but the others are also a treat to listen to. I live in a cold European country, so my only concern is rain, not humidity. But I will check with others about silicone and get back to you. Nice! Hope they’re to your liking, and let me know if you have any questions after. As for the silicone, I asked two others and they said they didn’t have any problems with sweat. But you might want to check with others to be sure if you’re serious about them, maybe people in your own country if possible.